Kathryn Gauci is the author of Conspiracy of Lies – a novel set in WWII – and The Embroiderer, inspired by her years working as a carpet designer in Greece. Now how’s that for a unique career? I asked her about her writing. What compelled you to write historical fiction? I have been interested in history for as long as I can remember. As a child, I grew up in an English village and loved to wander through churchyards and the many historical ruins in the area. My imagination ran wild and so when I did decide to write I never even considered another genre. I needed to be steeped in history. Walking with the ghosts of a bygone era is how I describe it. When and how did you begin your writing career? I began just over eight years ago. Until then my career had been as a textile and carpet designer. It was wonderfully satisfying and I travelled a lot but I felt a need for a sea-change. During the latter part of those years I put out trend directions for the buyers and it necessitated transporting them into another world for inspiration, motifs and colour; anything from the Baroque, Regency, Art Deco through to ethnic, tribal, and urban living. I loved doing those story boards. That was when I realised I wanted to expand my writing and turn it into a career. In a way, the mental process is similar and I haven’t really left the old life. Indeed, I have carried it through into my writing. Conspiracy of Lies employs the ‘female as spy’ concept – what research sources did you use to make this as believable as possible? I read biographies and history before I began writing, especially modern history. Quite a bit of the research for Conspiracy of Lies came out of the previous novel, The Embroiderer – spy networks and agents working for the Cairo office of the Special Operations Executive was a part of that story which was set in Athens under the German Occupation. When I came to write Conspiracy of Lies, I did further research, especially into the female agents in the field. Although the men’s stories also appealed as in the end everyone worked together and everyone’s story is unique. I also delved into code-breaking, radio transmitting and the politics pertaining to the setting. The main story of Conspiracy of Lies is set in Brittany and politics there had evolved differently to other parts of France. The Breton National Party wanted to break away from France and had reached out to Fascist Germany for support. Many were fanatics and so our protagonists not only had to deal with the Germans and Vichy France but the PNB also. And then there is daily life. It was important to know how the average person coped to help set the scene. WWII has been a perennially popular time period. What aspect of that war are you trying to illuminate with your writing? Conspiracy of Lies involves an emotional conflict between a genuine love affair and a woman’s duty to her country. I look at women who were either killed or ostracized by their fellow countrymen because they fraternized with the enemy and I felt that as human beings we are all vulnerable. War does not stop us loving someone, even the enemy. Circumstances throw people together in ways that we cannot imagine or comprehend. It is the contradiction and the stoicism of the human spirit that intrigues me. I wanted to bring that out and I am beginning to see that is an important element in my writing style. What techniques do you use to make history come alive and to create a world that is authentic as possible? I am a stickler for reading and researching the era and place. I have been to most of the places I write about. If not, I will pour over maps and read about the geography of the area. In the end it’s not what you know but how you convey that knowledge that is important to me. It’s the human spirit again; the psychology of why we do something at a particular time. To do that I have to inhabit the characters completely, even the minor ones. They are all there for a reason. I need to breathe the same air as they do, sit in the same coffee bar, etc. All the senses must be alive. And I also strive for a strong emotional pull. Where do you get your inspiration for the strong female characters in your novels? My inspiration is from real people, whether famous or not. In The Embroiderer, the Greek women were strong and feisty because they have had to cope with running homes and businesses alone when so many of their menfolk died in a string of wars and revolutions. In Conspiracy of Lies it was the real-life agents who were my inspiration. To volunteer and put your life on the line takes immense courage. They had to think on their feet and stay one step ahead. Many never survived. Ultimately, my female protagonists are strong because I believe that women in conflict are just as strong and capable as men. Many thanks for your thoughtful answers, Kathryn. 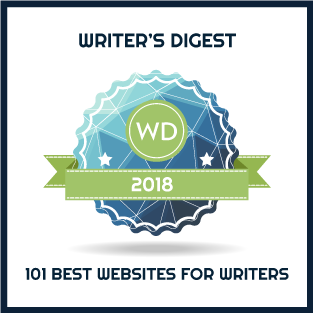 I’m sure readers will be intrigued at the unique settings you’ve chosen for your novels and your focus on the human spirit. Conspiracy of Lies by Kathryn Gauci – 1940. With the Germans about to enter Paris, Claire Bouchard flees France for England. Two years later she is recruited by the Special Operations Executive and sent back into occupied France to work alongside the Resistance. Working undercover as a teacher in Brittany, Claire accidentally befriends the wife of the German Commandant of Rennes and the blossoming friendship is about to become a dangerous mission. After just finishing The Alice Network, I’m intrigued by this book. I’ll add it to my TBR stack. Thanks, Mary! Hi Pat – I hope you enjoyed The Alice Network as much as I did! For your info, Kate Quinn is on my blog next week answering questions along with my review of her novel. She has some very interesting things to say! Having just devoured The Embroiderer, it was perfect to be able to read this interview with Kathryn Gauci on what inspires her. Thank you! I’m going straight off to buy Conspiracy of Lies. I’m sure Kathryn will be delighted to hear of your interest and intentions!! To First Night Design, I am so glad happy to hear that you enjoyed The Embroiderer and I thank you in advance for reading Conspiracy. Hope you enjoy it just as much. I have no doubt I will. I found The Embroiderer all-consuming and particularly interesting because of the Greek connections. I lived in Crete for seven years until a year ago so the terms and temperament and complicated history of the area were familiar, if that makes sense. Thank you for replying. I’m recommending it all over the place! You’ve just given Kathryn the best compliment any writer can receive!! Thank you to all those whose commented and liked the interview.. It was a joy to converse with Mary – mmy very first interview about Conspiracy. Like The Embroiderer, it was an emotional roller-coaster.